The Government of the Czech Republic is preparing for the EU Presidency in 2022. 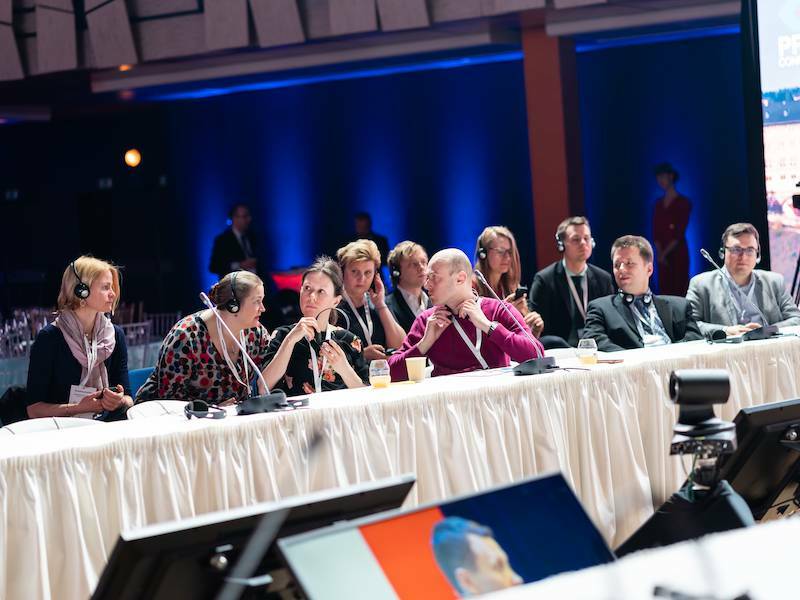 On Tuesday, March 19, 2019, the Prague Congress Centre hosted an event called “Presidency trial run”. This event aimed to share the experience of the Presidency of Slovakia and Romania with project management presenting modern audio-visual and communication technologies used in it. Afternoon program involved over 200 commercial partners, who accepted the invitation to take part in the “Feel The Change” event. Thanks to latest audio-visual technologies, LED marketing, light show and innovative ideas visitors were able to experience 24 hours within 24 minutes, attending a conference, gala evening, hockey game and networking.